Hours: Monday to Friday, 8:00 a.m. to 4:45 p.m. 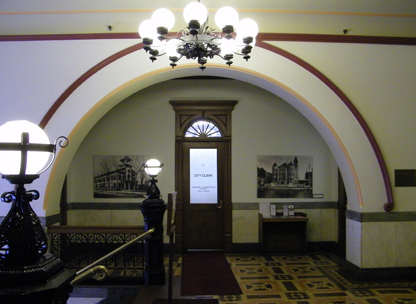 The City Clerk publishes the proceedings of the Common Council, processes all request of Common Council legislation from City department heads and Councilors, and prepares agenda for Council meetings. The Clerk records and certifies all City ordinances, resolutions, and local laws enacted by the Council. The City Clerk presides over public auctions of City property and is responsible for issuing and recording marriage licenses and fishing, hunting and dog licenses.